Home / Stock Picks / Hot Stocks / Is Facebook Stock Really As Treacherous As It Looks? Is Facebook Stock Really As Treacherous As It Looks? Facebook (NASDAQ:FB) is one of this year’s most hated stocks; in fact, today, the FB stock price is down 26% year-to-date. This is as a result of several serious data integrity scandals. The problems for FB started earlier this year when the news broke out about a data incident that sent the stock tumbling. And management has itself to blame. The original Cambridge Analytica story caught fire and the media had a field day with it. 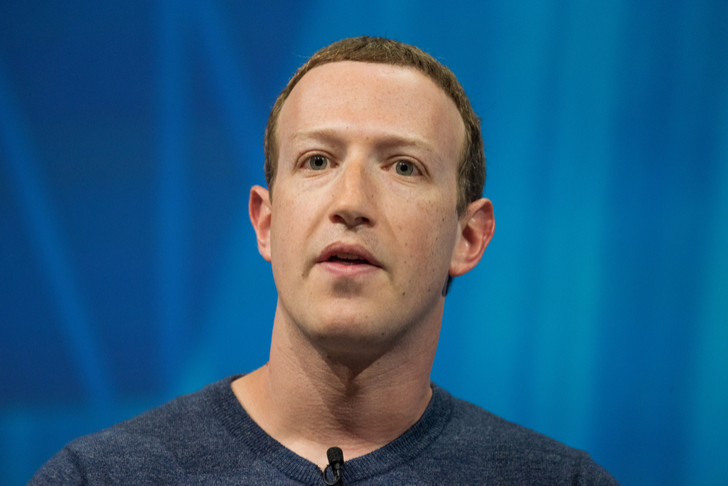 Critics accused Facebook of botching their own reaction to the debacle. In FB’s defense, they were victims of a third party who broke the house rules. Yet, the media deemed it a data breach. Management made a mistake by keeping it quiet. They should have made the incident public when it happened and they should have penalized the offending company in a high profile manner. But that is in hindsight. The stock did recover in a big way from the first drop. But after setting highs, FB is now struggling mired in red. In August they delivered a bad earnings report and Wall Street punished them with a 20% free fall. Before they could find footing, the general markets fell into another correction which is still ongoing. So Facebook stock is still at a disadvantage. To make matters worse, yesterday we learned that management still has not learned their lesson. News broke out about them still allowing other companies to dip into user data, including messages. This says that management has lied to the public and in government testimony as they are still doing what got them in trouble. This time, it may even include messages and not only user preferences. Legislators will not allow this incident to pass without repercussion. This almost guarantees an onslaught of new rules and that will severely impact all social media stocks. So Is FB Stock a Straight Up Short? No. Facebook stock is still a dangerous stock to short. They still have billions of users and that is potential that is hard to kill. FB is a broken stock but not yet a broken company. There is time for management to right the ship. They likely need a c-suite change. Valuation is already low as it sells at a 19 trailing price-to-earnings ratio. This is not to say that it won’t get cheaper. However, they still have other spigots that they haven’t even tapped. So any monitization headline on those fronts would send the stock sharply higher. Shorting momentum stocks carries unlimited risk. Those intent on shorting it are better served using options markets. There, you can buy puts out in time to limit risk. If Facebook stock falls, then you can profit without the potential of a financial debacle. Is There Any Reason to Buy Facebook Stock on This Dip? Yes, but it will not be an easy buy. Big red candles even under normal market conditions usually are not one-day events. Add to it that markets are now as treacherous as ever and Facebook stock will need a miracle headline to sharply reverse course. Nevertheless, almost all analysts still have it as a BUY, even though it is trading well below their price ranges. So the experts believe it is going higher after they clear this mess up and that could take some time. FB management is too distracted putting out public opinion fires. They need to refocus their efforts onto growing the business. This all has to start by stopping the deluge of headlines. This is easier said than done. So for now, investors have to put on their temporary trading hats to trading FB. Buying it here will be part of a long-term position. But if it does bounce fast, then it should be considered a gift scalp trade. Nothing is guaranteed to last these days. The “sell the rip” meme is too strong. Case in point, Wednesday morning, FB initially bounced, but only for 15 minutes. Then it reverted sharply to close down 7%. The adage on Wall Street is to wait out three days before catching a falling knife. In this case, there are no one size fits all rules. It does make sense to wait out the panic. Even then, I would not set a full size position. FB is wading in dangerous waters and dragging the whole social media sector with it. Twitter (NYSE:TWTR), for example, fell $2 from its Wednesday high to close down 2.5%. That’s a 5% flip from high to low in mere minutes. Being long FB stock now also means to fight the Fed, which is a tough slog. Not to mention the problems that still loom from tariff war headlines. These market-wide problems will also add to the treachery of owning this beleaguered stock. Patience is a virtue here as this is not an obvious point of entry. Luckily, we still have recent bounce levels that are lower than the current price so we have something against which to shoot. In November, it set a low of $126.85 per share. And even if that fails, the zone through $113 per share is well consolidated. And those are support on the way down. Since the reaction to the Fed Chair Powell testimony showed his resolve to break the economy, investors are now looking to sell markets down another 10% in spite of having solid fundamental. For that reason, I’d be nervous owning shares in great untainted companies like Apple (NASDAQ:AAPL) or Amazon (NASDAQ:AMZN), let alone a ticking time bomb like Facebook. So an alternate strategy is to use options to take a directional bet on a stock. The CBOE Volatility Index (INDEXCBOE:VIX) is high, so buying calls is now an expensive proposition. In this case, I would rater sell downside puts to go long the stock. Essentially, I can sell the February $105 put and collect $2 per contract for the risk. If the stock falls through my put, then I have to buy it at that price and my breakeven price is $103. If FB stays above $105, then I retain the premium as maximum profit. Doing this leaves me long the stock now but with a 20% buffer from current price. I would need every bit of it since they report earnings in January. Click here for more of my market thesis and get an ongoing free copy of my weekly newsletters. Nicolas Chahine is the managing director of SellSpreads.com. As of this writing, he did not hold a position in any of the aforementioned securities. You can follow him as @racernic on Twitter and Stocktwits. Article printed from InvestorPlace Media, https://investorplace.com/2018/12/is-facebook-fb-stock-really-treacherous/.